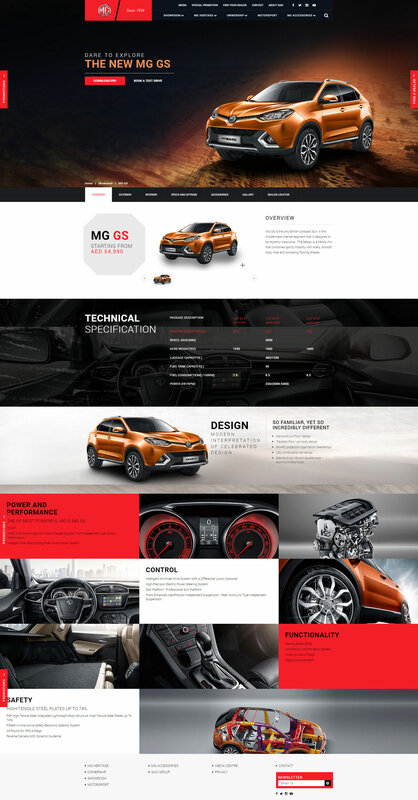 MG, the historical car brand, was brought to the GCC region in 2015, by SAIC Motors of Shanghai. The site was built to showcase the cars that are availble throughout the GCC region. The site is personalised depending on uers IP address so that relevant content (cars/pricing) can be displayed for each region.